This popular candy shop has a bouncy pop soundtrack for sweet tooths perusing its rows of Lucite bins, where cute packaging reigns supreme. Donan’s strawberry-caramel candies are in baby-pink boxes decked with smiling strawberries; little koala bears smile on shiny green bags carrying Lotte’s chocolate-filled cookies. 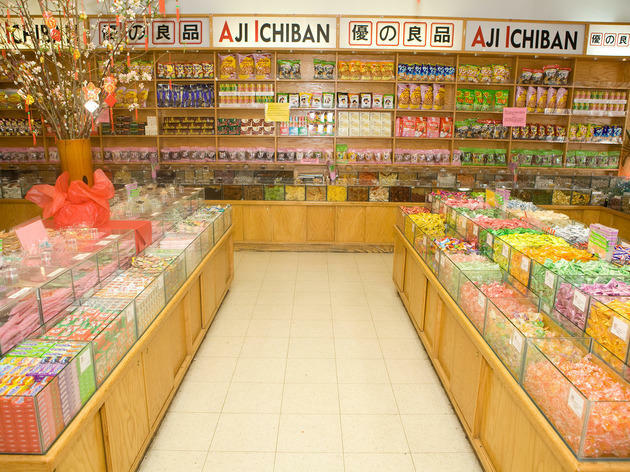 There are also savory goods like dried seafood snacks, classic wasabi peas, and more priced by the 1/2 pound, and about every flavor of "Pocky" you can find. Not cheap, but surely worth the experience. El stop: Red to Cermak/Chinatown. Bus: 62. 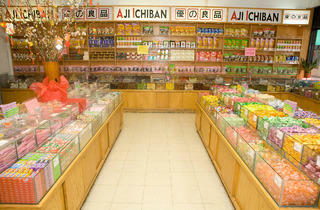 A sweets-lovers dream, Aji Ichiban has just about every kind of candy under the sun. Matcha oreos? Yep. All the kinds of Pocky (including tomato?). Absolutely. Pick a few of your favorites and don't get too overwhelmed, you could definitely rack up an expensive cart.